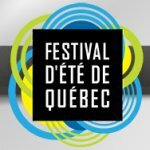 Def Leppard have been announced for the Festival D'ete De Quebec in Canada on 13th July by the event website. The show will take place at Scene Bell (Plaines d'Abraham) an outdoor venue in Quebec City. The show will also feature Foreigner who Lep toured with in 2007. The band last played in Quebec City in August 2008 during the Songs From The Sparkle Lounge tour. The festival runs from 4th to 14th July and other acts playing over that time include The Black Keys, Ellie Goulding and Rush. This takes the number of 2013 shows to 22 with 11 already played at VIVA Hysteria! in Las Vegas. This announcement goes against Vivian's recent comment on 20th April that there would be no more shows announced in 2013.